I have been asked on numerous occasions over the years how I managed to get the style of close in portraiture that I create with many of the Native American people I have meet during my road trips while crossing the North American Great Plains. My reply is always about how one approaches the individual elder or in later years powwow dancers when asking to create some photographic images. I have found that being relaxed, polite and well mannered is a good start. And keeping ones camera equipment down to the bare minimum tends not to spook the person and make them a touch nervous. Ask any photographer if he or she likes to have their picture taken and you will get a resounding no thank you. In 1984 I purchased my camera of choice the Olympus OM 20 with a 35-70 Zuiko Lens. The camera had split level focus through the lens and I later found that this camera and lens really excelled when I was shooting my close in portraiture images. 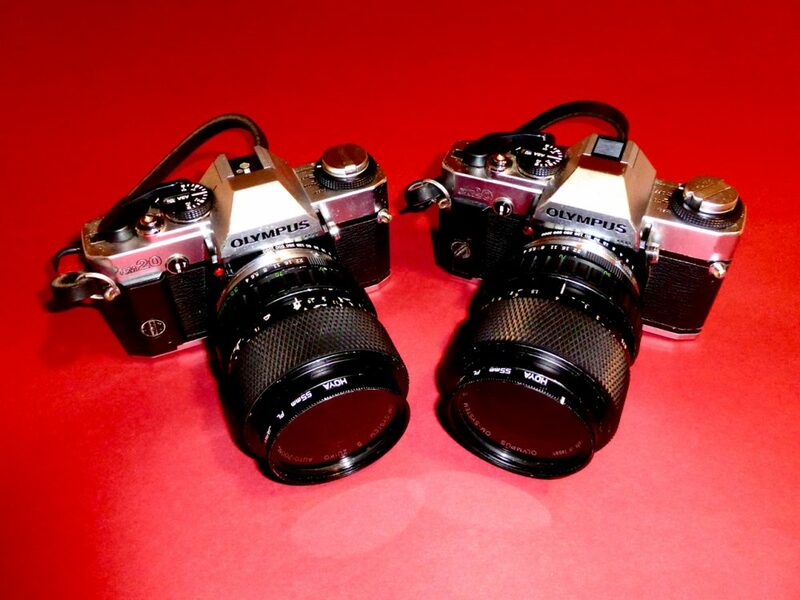 In 1987 I purchased a second Olympus with the same lens as a back-up. And for the next twenty-seven years I worked with both these excellent image makers in natural light. I would always make sure that the ware and tear on the cameras was serviced and repaired before each trip to the Great Plains. And I shot film for three decades from 1981 up to 2011. Today I work purely in digital format and I enjoy the dynamic results I am able to achieve with the current technology.